The City of Pittsburgh is more than just a place to live. As a government entity, we are responsible for so many facets of the City’s functions. City of Pittsburgh Careers offers employment within 19 departments and 4 public safety bureaus. We offer many positions within the City of Pittsburgh and our job postings are updated every Monday. We are currently recruiting continuously for the position of Police Officer Recruit. The Bureau of Police is the third largest agency in Pennsylvania and is comprised of more than 900 officers serving the more than 300,000 residents that call Pittsburgh home. We pride ourselves in being leaders in best practices and enabling our officers to make a positive difference in the community. 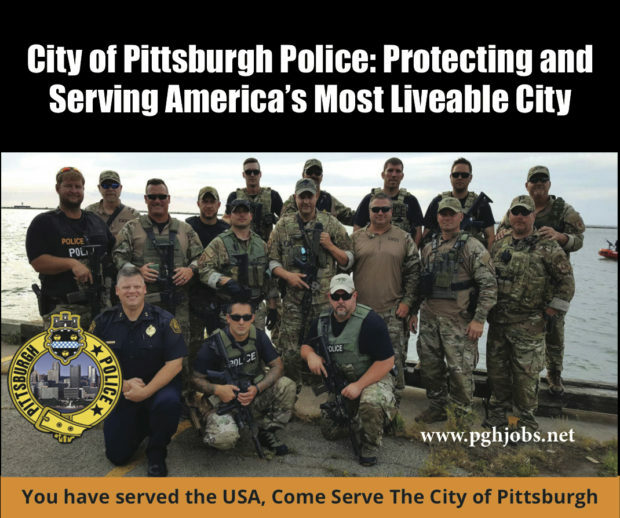 Pittsburgh Police Officers are encouraged to take advantage of a variety of assignment opportunities such as SWAT, K-9, Bomb Squad, River Rescue, and Investigations as they advance through their career. Our bureau reflects the diversity of our communities and our goal is to deliver law enforcement services with professionalism and integrity. 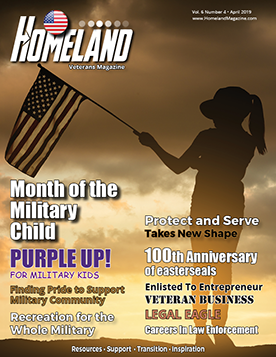 We accomplish this goal by hiring quality employees who are committed to our values; honor, integrity, courage, respect, and compassion. Please visit www.pghjobs.net to apply, and also check out www.joinpghpolice.com for more information on becoming a Police Officer in the City of Pittsburgh. We are, also, continuously recruiting for the position of Paramedic. As a Paramedic, your profession demands that you overcome uncertainty in the course of saving lives. The Bureau of Emergency Medical Services is dedicated to the reduction of morbidity and mortality of residents and visitors through the provision of Advanced Life Support prehospital care, medically directed Technical Rescue and transportation of the ill and injured. If you are interested in applying for this position please visit www.pghjobs.net. It is the mission of the Pittsburgh Bureau of Fire to protect life, property and the environment by providing effective customer and human services related to fire suppression, first responder medical service, hazardous materials mitigation, emergency management service and domestic preparedness.The Pittsburgh Bureau of Fire encourages all personnel to take a proactive role in reducing the impact from emergencies by providing programs related to public education, risk reduction, fire prevention, community relations, disaster planning and operational training. If you are interested in becoming a Firefighter you can visit www.pghjobs.net and search the position Firefighter Recruit by title and “subscribe”. By subscribing you are registering to receive electronic notification when the application period for this position opens so that you may apply. Please visit www.pghjobs.net to view these and many more positions. Let us be Your Bridge to Endless Opportunities.